Many of us make active efforts to maintain our personal health. However, one of the questions that many people struggle to find the solution to is how to have more energy. Considering the fast-paced lifestyles that many of us lead in this day and age, it’s easy to become exhausted by the sheer number of responsibilities we have on a daily basis. Often, we find ourselves fighting fatigue as we juggle a long list of day-to-day obligations that continue to drain our energy levels. Despite our busy lives, if we carefully take the time to evaluate our daily habits, we might start to notice that it’s not just our daily to-do lists that are leaching us of our energy. If you find yourself constantly fatigued, exhausted, and unmotivated on a daily basis, this post is for you. Below are seven tips to consider that can help you find balance and boost your energy levels on a daily basis. You may find that you just need to make a few minor tweaks to your daily habits. Your energy levels and productivity should skyrocket as a result. When we have a busy schedule and are constantly on the move, it’s quite easy to neglect basic human needs like staying adequately hydrated. Because the human body is made up of almost 60 percent water, we compromise essential metabolic processes when we do not drink enough of it. On a daily basis, you should strive to drink at least two litres of water. People who are more active, athletes, or exercise regularly should drink even more. When you stay hydrated, your body has a better chance of working at optimal efficiency. In addition to feeling better and increasing your energy levels, drinking more water can also provide improvements to your skin, your immune system, and your capacity to achieve more consistent and restorative sleep. When you feel exhausted, you may think that exercise will only make you more exhausted. However, quite the opposite is true. It could be that the reason that you feel constantly tired and fatigued is that you do not exercise enough. 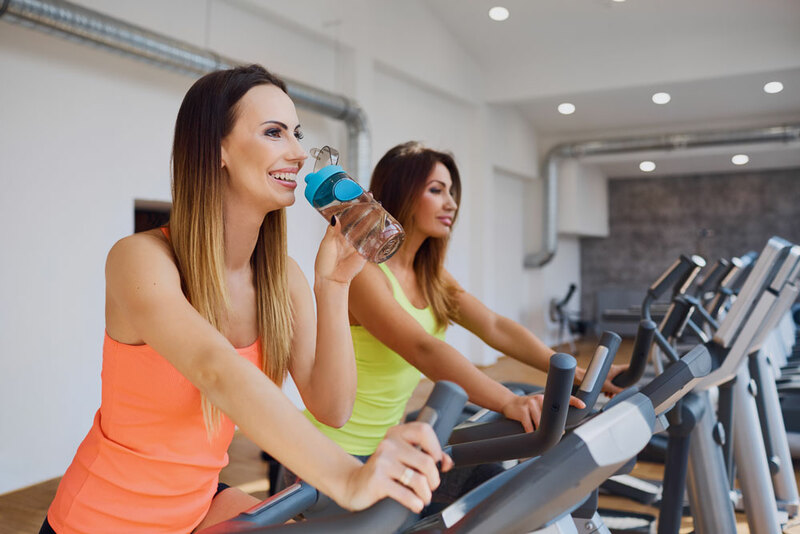 Even as little as 20 minutes per day of moderate exercise can increase your blood oxygen levels, promote heart health, and provide a boost to your energy levels. When you perform moderate exercise at moderate to high intensity, you are also likely to break a sweat. As a result, you can help your body eliminate toxins that have been building up in your body and adding to your fatigue over time. Although caffeinated beverages like coffee and tea are a staple energy booster for many individuals, your dependence on caffeine may have a negative impact on your energy levels in the long run. Caffeine is a stimulant that accelerates your heart rate and causes your body to undergo spikes in energy levels. As a result, your body struggles to find homeostasis, and you can feel more lethargic and exhausted after caffeine is fully broken down in your body. If you rely on caffeine boosts regularly to get your through the day, you should try to reduce your caffeine intake. This will provide you with a more consistent level of energy throughout the day while promoting a more restful sleep at night. Many people who report low levels of energy have been observed to make poor choices when it comes to their diet and intake of essential vitamins and nutrients. Vitamin B12, iron, magnesium, and foods rich in omega-3 fatty acids have demonstrated the capacity to boost energy levels when consumed regularly. Choose a diet based on whole, natural ingredients. Eat a balanced diet of proteins and fats in addition to fruits and vegetables. Likewise, be careful not to exceed your daily requirement of calories. If you are in doubt about your dietary needs, speak with a doctor or nutritional specialist. He or she can provide you with a plan catered to your personal metabolic needs that will even further bolster your energy levels and keep you feeling great. Carefully monitor your intake of carbohydrates that rank highly on the glycemic index scale. Not all carbohydrates are bad for you, but when you eat a diet filled with cakes, sweets, and added sugars, you are not providing your body with proper nourishment. Similar to caffeine, the best that sweets can offer to your body are quick spikes in blood-sugar levels that will only provide you with short bursts of energy. As a result, these carbohydrates will encourage your body to store fats and cause cravings for addition sugary foods later in the day. Try your best to get your main carbohydrates from fruit, vegetable, and whole-grain sources. Natural sources of carbohydrates also contain fiber, which slows down the digestion process. As a result, you will feel fuller longer in addition to maintaining a more sustained sense of energy over time. Stress, anxiety, and a negative outlook have a direct impact on your energy levels. While under duress, your body releases cortisol, a hormone that helps your body endure stressful situations. When your body continues to produce high amounts of cortisol on a daily basis, it’s very easy to feel fatigued and exhausted by the end of the day. Some of the best ways to manage stress include practicing mindfulness techniques. These include breathing exercises, journaling, meditation, and even passing time with loved ones. If you are someone who is prone to feeling stressed out on a daily basis, take a more proactive approach to integrate relaxation techniques into your daily routine. If necessary, you can even seek counseling or therapy for additional support with stress management. When you take action to deal with the way your body handles stress, your energy levels will thank you in the long run. Often, our low energy levels are less attributed to sleeping for extended periods every night. Instead, studies have shown that regulated energy levels are more associated with maintaining a consistent sleep schedule. Make sure that you go to bed and wake up at a similar time each day, even on weekends. On average, most adults need between seven to nine hours of sleep per day. When you have an erratic sleep pattern, you can cause your body to fall into a sleep deficit or sleep surplus. Both of these can impact your energy potential throughout the day in addition to compromising your body’s ability to achieve ample rest. By carving out a consistent time to receive adequate rest each night, your body will have a better chance to heal, repair itself, and maintain its energy levels upon waking up the next day.